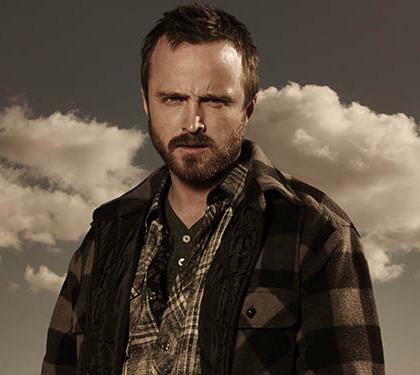 There is no debate that Jesse Pinkman, a character that was originally slated to die at the end of the first season of Breaking Bad, showed an extraordinary amount of growth throughout the series. That growth was effectively displayed not only through the character’s actions, but also through his wardrobe and overall style. 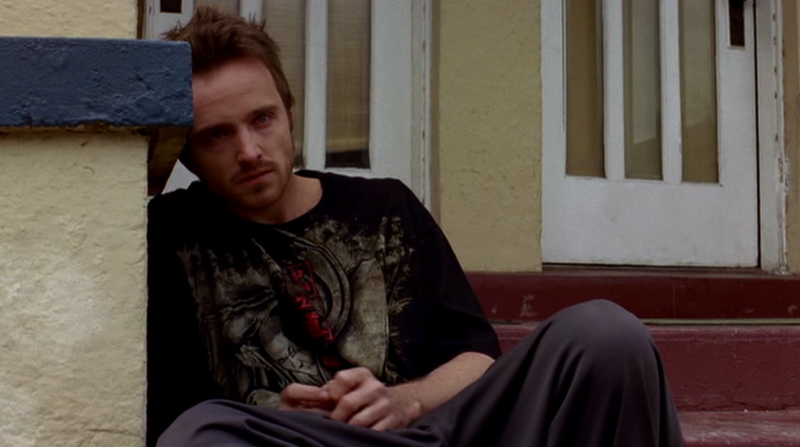 The costume designers behind the Breaking Bad scenes clearly had an arc in mind when plotting the roadmap for Jesse Pinkman and how his emotional journey could also be mirrored by his attire. 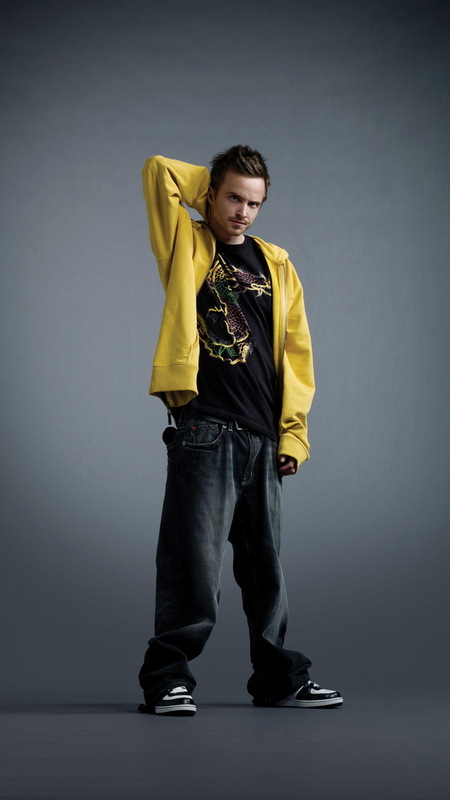 Revisit the beautiful and tragic character of Jesse Pinkman through a look at his style evolution. Warning: there are some potential Breaking Bad plot spoilers below. What He Was Going Through: A low-level meth cook in Albuquerque, New Mexico. Blackmailed by Walter White to help distribute his crystal meth. What He Was Wearing: Baggy, wide-legged jeans, bright colored hoodies, beanie caps. Hair and Appearance: Spiked or uncombed slacker hair when not covered by beanie cap. Lots of bruises. When we first met Jesse, he was a stereotypical white, suburban, meth-dealing low life. He favored the baggy pants from the '90s with loose, sloppily fitted hoodies, high top Nike sneakers, and a beanie. His look was meant to epitomize the kind of lazy, good-for-nothing slacker that every father warns his daughter about. Early on, Jesse’s favorite color was a bright, bold yellow. Whether on his shirt, hoodie, or hazmat suit, he could often be seen rocking something the color of the sun. At this point in the story, Jesse was a low-level dealer with little to no ambition beyond the current batch he was cooking up. He wasn't making money hand over fist, but he was getting by. This is all perfectly evidenced in his costume design throughout the first season. The slacker charm and carefree façade that Jesse exhibited through his attitude and attire is one of the major reasons why so many fans connected with him. They could see a bit of themselves in this hapless ne'er-do-well. 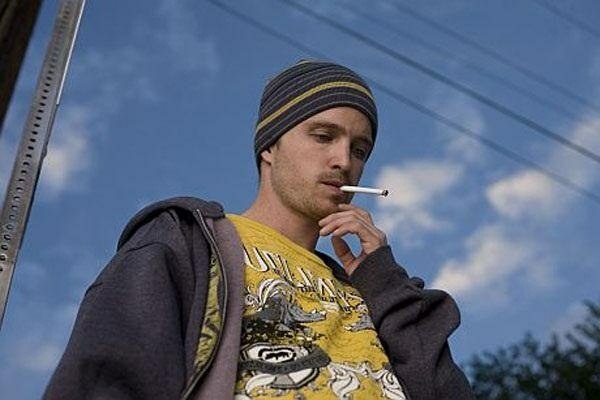 Series creator Vince Gilligan recognized this as well, and luckily for us all, made the character of Jesse Pinkman an important part of the story from then on. What He Was Going Through: Emotional turmoil after the death of his girlfriend and untenable relationship with Walter White. Enters rehab. Leaves rehab. Probably should have stayed in rehab longer. What He Was Wearing: Designer tees, more fitted clothing. Hair and Appearance: Fresh buzz cut. More bruises. While it seemed like Jesse would stay a perpetual adolescent, it took the death of his girlfriend Jane Margolis to push him to maturity. Her death had an affect both internally and externally, as Jesse started wearing more muted colors, and more modern, fitted stylings. In other words, he was wearing clothes more befitting of his age. He became a man. And after the things he saw—and the things he had to do—the transition seemed necessary and authentic. Beyond the high end leather jackets and designer t-shirts, his style also evolved with a clean, fresh buzz cut. During this time period his attire suggested he had a little more disposable income for brands such as Tre Vero, Archaic, Zoo York, Zara, Volcom, and Xzavier—brands he always wanted but could never afford. This era saw Jesse move away from the bright blacks and reds he previously seemed to adore and into what many have even be called his “goth” phase. As famous mope-rocker Morrissey once said, “I wear black on the outside because black is how I feel on the inside." What He Was Going Through: Overwhelmed by guilt and becoming increasingly paranoid, especially about his relationship with Walt. What He Was Wearing: Subdued tones, flannel, and plaid. Hair and Appearance: A broken, bearded man. Unkempt hair, a serious visage. 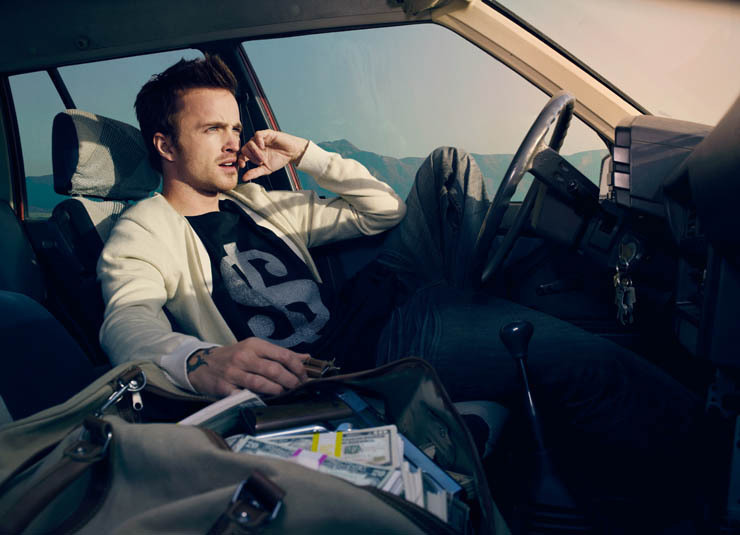 Jesse reached possibly his most important series moment in season five when he fully became his own man and defied the corrupted Walter White, who had fully devolved into his drug lord persona Heisenberg. It was during this period that his appearance went through another transformation, with both his previously buzzed hair grown out and his once baby smooth face now sporting a beard. In the world of network television, a beard is always an easy callout to a character’s newfound seriousness— and sadness. It was during this period that Jesse ditched his slightly gothic black tees and leather jackets for muted, checkered flannels and dual tone tees, looking closer to a character on Sons of Anarchy than Breaking Bad. 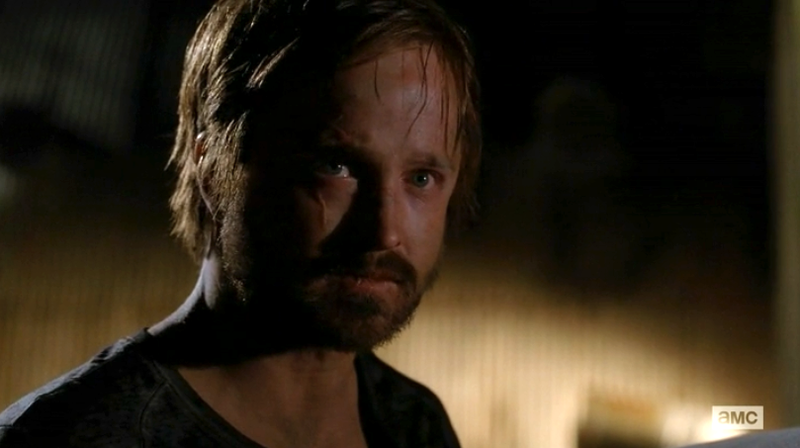 In what was already an iconic series finale, Jesse reached his emotional breaking point, and it was perfectly shown in his ragged appearance, unkempt hair (this was the longest it had ever been on the show), and his long and patchy beard. It is appropriate that at this lowest point in his life, Jesse finally became free, and could finally live the life he wanted and deserved. One would love to imagine a newly free Jesse Pinkman, hiding out in Alaska, rocking fresh white kicks, and a bright yellow hoodie. Full circle. While we may not sell all the high end graphic tees and hard-to-find jackets that Jesse rocks in Breaking Bad, we do have some awesome Breaking Bad t-shirts, including exclusive Heisenberg shirts, Los Pollos tank tops and hoodies, and even the Steve Aoki shirt that appeared in the series. The show has come to a close, but it doesn't have to come to a "clothes!" Throw on one of these Breaking Bad tees and remember, some weirdos have still not seen the show, so no spoilers. Gentry Boeckel Gentry is an Inbound Marketing Specialist at Shirts.com and would happily wear Star Wars tank tops to the office if it were socially acceptable. Instead, he will have to save the Star Wars gun show for the gym and his backyard neighbors. Besides his Rebel Alliance attire, his all-time favorite t-shirt is probably the bright green, vintage Mars Attacks! tee that says “WE COME IN PEACE.” Yeah, right, we all saw what you did to the disembodied heads of Pierce Brosnan and Sarah Jessica Parker, aliens.